Back in 2017, I was lucky enough to participate in the which was held at Rhebokskloof near Paarl. It was a great event which happened to include all the trails I grew up riding. 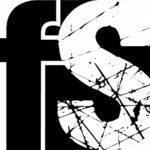 Fast forward to 2018 and a brand-new venue was announced. 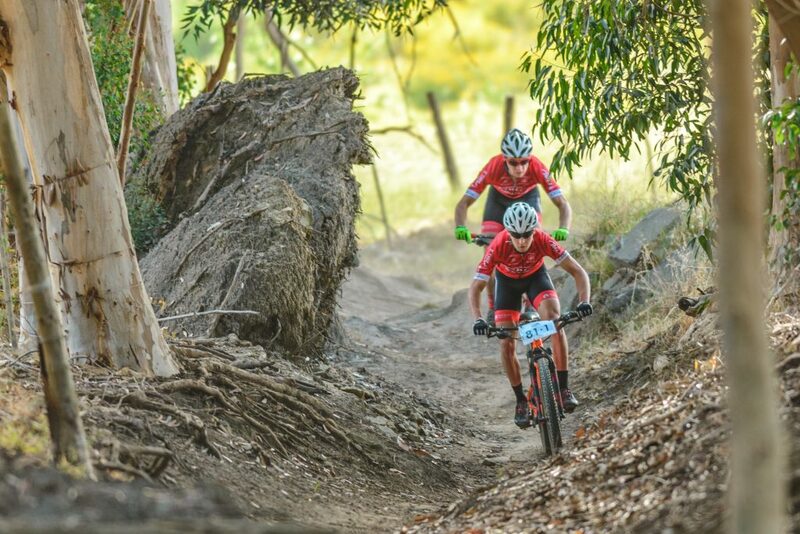 For those familiar with mountain biking in the Western Cape, the famed Meerendal Wine Estate would play host to the 2018 event. 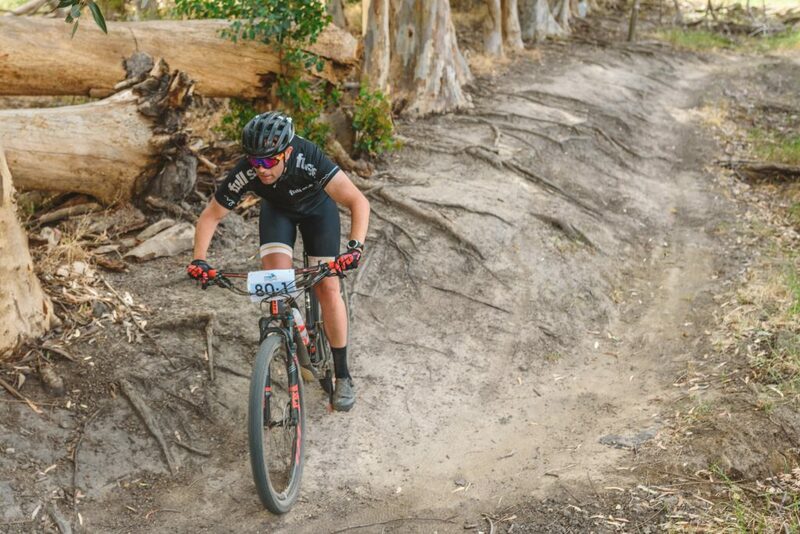 Meerendal is situated in the middle of the Durbanville Wine Route and its surrounded by more than enough mountains and epic trails. The race village was constructed on one of the many lush lawns at Meerendal and after I stuffed my face with a proper breakfast, we were off at 07:00. Doing the event solo was a refreshing change and it meant I could go as hard or slow as I saw fit. We did a short 6km loop on Meerendal’s bottom section before we crossed the Vissershok road where the actual trail began. A short but sharp climb rudely awakened my sleepy legs. Not too far from us at that stage was the Signal Gun winery in the distance. The climb directly behind the winery would be the first proper test. A private road (with wildlife everywhere) took us up a steep and rocky climb of about 2km before the summit at the mast above Hillcrest, followed by a quick breather as we dropped into the first single track section. Fast flowing and miles of smiles later I snaked past the 1st waterpoint. The windy weather was still playing its part as the trail pointed back skywards in the direction of Contermanskloof. Some of the best and gnarliest singletrack took us safely to the bottom where an uncomfortable little vineyard climb took us to the second and last waterpoint of the day. With a proper headwind now pumping, I knew the last 10km would be brutal. According to my trusty route map sticker, there would be a proper sting in the tail as we needed to exit Contermanskloof to drop into Meerendal again. This meant a rather windy and dusty slog to reach the top of Contermanskloof. The suffering was soon forgotten as we spotted Meerendal in the distance. I flew over the finish line in a little over 2 hours and 40 minutes. The Polish winners showing us how its done. Day 2 started at 07:00am once again as the riders followed a more direct route to exit Meerendal. We crossed the Vissershok road once again and headed up an even longer climb than on the previous day. The route organisers then took us straight to Hoogekraal. I’m lucky enough to ride at Hoogekraal quite often, so it was a pleasure blasting through some of my favourite trails. We safely made our way from the back of Faircape Dairies towards the second waterpoint. A steep and flowy piece of downhill trail (with ample chicken runs) would see us meander alongside vineyards and appreciate some ‘free’ miles. With the waterpoint now behind us, I knew the dreaded quarry climb would be the toughest obstacle of the day. With temperatures around 30 degrees and no breeze to speak of, the climb sure was brutal. It started out on a jeep track which turned into a rocky loose mess. Mountain bikers never like to walk, but we were forced to do so a couple of times to reach the top of Meerendal. A super-fast and fun downhill singletrack section would take us home as I once again crossed the finish a tad over 2 hours and 40 minutes. At first, I thought that ‘only’ 40km per day would not be too tough on the legs. After concluding the event I realized that this was a proper mountain bike race! 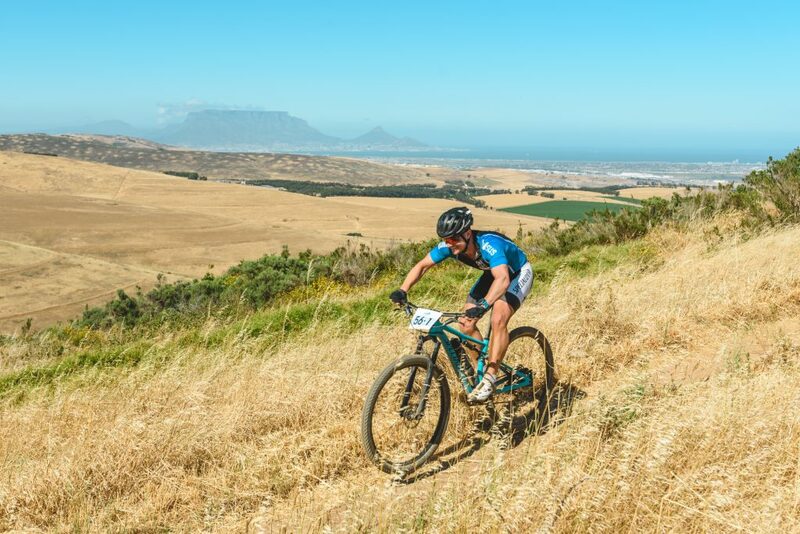 In only 80km we managed to ride loads of singletrack, climb until our lungs exploded and revel in the stunning views around Durbanville and Cape Town. Thanks very much to race organizers for the opportunity. I’ll definitely be back in 2019. 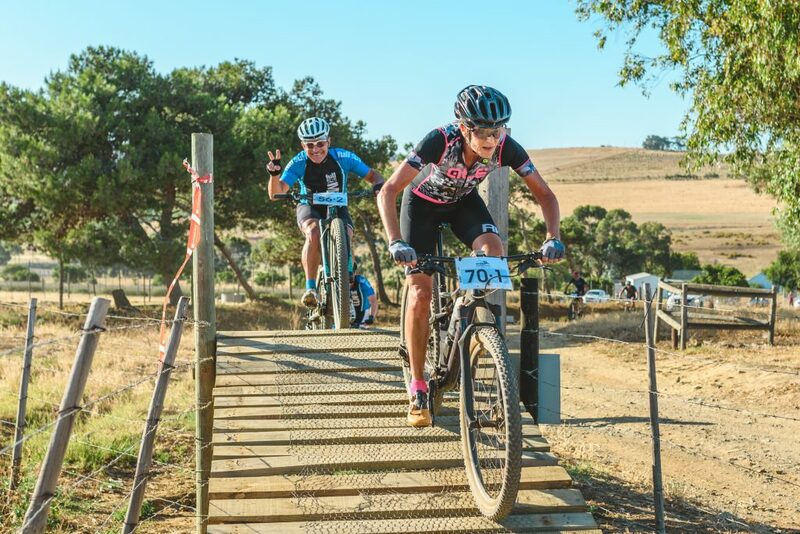 Full Sus mate Erik Knoetze crossing a bridge at Hoogekraal.